If you spend enough time with geriatricians and other experts in aging health, you’ll notice pretty soon that we spend a lot of time reviewing medications, and considering whether to deprescribe them. Medications are, of course, a mainstay of modern medicine. They are often key to how we manage a variety of health conditions, whether that’s by relieving a distressing symptom, reducing the risk of a future serious health event, or even helping the body correct a life-threatening illness. But medications also come with risks and side-effects. Aging makes people more susceptible to these downsides of all medications. And, over the years, geriatricians have noticed that some medications, in particular, are more likely to cause problems or create extra risks. These types of observation led a geriatrician named Mark Beers to publish a scholarly paper in 1991, identifying several categories of medication that seemed to be especially risky for nursing home residents. Dr. Beers worked with various colleagues and organizations over the years to refine his list, which soon expanded its scope to consider which medications are potentially inappropriate for older adults who aren’t necessarily frail enough to be in nursing homes. Dr. Beers died in 2009, but his “Beers Criteria” lives on. Since 2011, the process of reviewing and updating the list has been overseen by the American Geriatrics Society (AGS), which published updates in 2012, 2015, and most recently, in January of 2019. Technically, it’s “The AGS Beers Criteria® for Potentially Inappropriate Medication Use in Older Adults.” The 2019 update is here. This is essentially an extensive list of “potentially inappropriate medications” that should be avoided or used with caution, when it comes to the health care of adults aged 65 and older. “Potentially inappropriate” means that in most older adults, the likely risks of using the medication outweigh the likely benefits, especially when compared with other available treatment options. It’s important to know that just because a medication is “potentially inappropriate,” this does not mean that it’s always “wrong” to prescribe it to an older person. Ideally, the risks of the medication would also be discussed with the older person and with family (when family is closely involved). Research has repeatedly confirmed that these riskier medications are often prescribed to older adults, and that in many cases, it’s not clear that the risks were explained to the patients or that safer alternatives were offered. These are grouped by therapeutic category (meaning, they name what organ or type of condition the medication is used for), and include a rationale as to why the medication may be inappropriate. The recommendation for most medications in this long list is “avoid”. The conditions listed include syndromes more common in older adults (e.g. history of falls, delirium, dementia or cognitive impairment) and also specific health diagnoses (e.g. Parkinson’s disease, kidney disease, heart failure). This list identifies drugs for which there is some cause for concern, but for which the evidence is not yet sufficient to merit inclusion in the main “medications that are potentially inappropriate” list. This list highlights combinations of medications that are especially common among older adults, and can be particularly risky. Since reduced kidney function is common among older adults (many of whom may not realize they are affected by this), this list specifies medications to avoid, or use in reduced dosage. Since “anticholinergics” as a group are referenced in several different tables within the Beers Criteria, Table 7 provides a list of specific medications to avoid or use with caution. The 2019 Beers Criteria also include additional tables, summarizing changes relative to the prior 2015 update of the Beers Criteria. To review, revise, and update the Beers Criteria, the American Geriatrics Society convenes an expert panel which includes physicians, pharmacists, and nurses, all with special expertise in geriatrics and in reviewing scientific literature. This review process is very careful and takes time; for the 2019 update, the group met regularly from February 2016 to May 2018. During this time, the experts review the available scientific research, and decide on what changes to make to the Beers Criteria. They also consider how to organize and present the material, to be most useful to the clinicians who are the primary intended users of the Beers Criteria. In short, this is a very careful, thoughtful, and evidence-based process. The Beers Criteria is a terrific resource, when used appropriately. Medications in the 2019 AGS Beers Criteria® are potentially inappropriate, not definitely inappropriate. Read the rationale and recommendations statements for each criterion. The caveats and guidance listed there are important. Understand why medications are included in the AGS Beers Criteria®, and adjust your approach to those medications accordingly. Optimal application of the AGS Beers Criteria® involves identifying potentially inappropriate medications and where appropriate offering safer nonpharmacologic and pharmacologic therapies. The AGS Beers Criteria® should be a starting point for a comprehensive process of identifying and improving medication appropriateness and safety. Access to medications included in the AGS Beers Criteria® should not be excessively restricted by prior authorization and/or health plan coverage policies. The AGS Beers Criteria® are not equally applicable to all countries. The 2015 article also provides more specific examples of how clinicians could use the Beers Criteria. But, the gist is this: they suggest health providers take extra care when prescribing these medications to older adults, and also be vigilant for side effects, since older adults have a higher risk of experiencing these or being harmed by them. According to the John A. Hartford Foundation, the 2019 AGS Beers Criteria includes 30 individual medications or medication classes to avoid for most older people, and 40 medications/medication classes to use with caution or avoid when living with certain diseases/conditions. Everything in the Beers List is important, but in truth, some medications on the list feel much more relevant to me than others. That’s because some of these medications are widely used by lots of older adults, most of whom have no idea they are taking a potentially inappropriate medication. Whereas other medications, such as barbituates, are on the list but are hardly ever used any more. There are more medications in the 2019 AGS Beers Criteria to be mindful of, to be sure. But the drugs above are the ones that I most commonly encounter and work on deprescribing when possible. So if you’re an older adult, or if you’re involved in the medical care of an aging relative, what can you do? 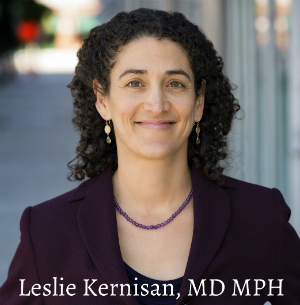 Dr. Steinman’s advice, which he shared in the recent podcast episode, is to be proactive. Although we do have a lot of information available regarding which medications are risky for older adults, and how to manage medications more safely, it’s still very common for older adults to experience inappropriate prescribing and also harms from their medications. Most health providers are well-intentioned and caring. But they’re also often lacking the time, resources, and supportive systems they need to be more careful about medications. Review your medications, and try to find out if any are listed in the Beers Criteria. Pharmacists can be a good resource, if you want help spotting these medications. If you are taking a Beers list medication, HealthinAging.org offers a helpful resource here: What To Do And What To Ask If A Medication You Take Is Listed In The AGS Beers Criteria® For Potentially Inappropriate Medication Use In Older Adults. Could this medication affect my balance or my thinking? Is this medication listed in the Beers Criteria? Can you please review with me what is the expected benefit of this medication, and what are the likely risks? Are there any safer or non-drug approaches to treatment that I should be aware of? Are there any particular side-effects I should look out for? Ask to review medications after hospital discharge or a move from one healthcare location to another. Many medications prescribed during hospitalization may not need to be continued long-term. Your usual health provider will be more likely to carefully review your post-discharge medications if you request this. If you don’t have a usual health provider, you can still request an appointment with a doctor, nurse, or pharmacist, to carefully review medications and discuss whether each is still likely to be beneficial. Ask to schedule regular medication reviews with your health provider. 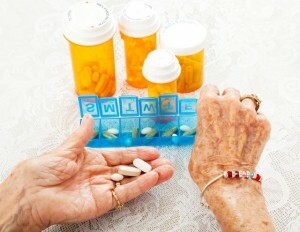 Most experts recommend regular medication reviews for older adults. I suggest yearly medication reviews, especially for older adults who are taking any medications listed in the Beers Criteria, or who take more than 5 medications. I share a five-step process to help you prepare for a useful medication review here. Regularly ask about deprescribing. Remember that when it comes to older adults and medications, less is often more. Deprescribing means reducing or stopping medications that may not be beneficial or may be causing harm, to maintain or improve quality of life. For more on deprescribing, see this article, which includes links to a series of excellent consumer guides to help older adults discuss deprescribing of benzodiazepines, NSAIDs, proton-pump inhibitors, antipsychotics and more. Deprescribing is much more likely to happen when older adults and families ask about it. So ask! I know it can seem a bit daunting to start asking a lot of questions about your medications, or your older parents’ medications. I also know that although many health providers will welcome your questions and be glad to see you participating in your care, others might give you a hard time, because they’re busy or maybe they just aren’t used to having to think over what they are prescribing. Many older adults do need to be on medication. And, many of them are on more medication than is truly necessary. You now know about the AGS Beers Criteria® for Potentially Inappropriate Medication Use in Older Adults. You know that every few years, an ace team of experts is reviewing the medical literature and coming up with a carefully chosen list of medications that older adults should avoid, or use with caution. Even if you don’t get a copy of the most recent AGS Beers Criteria, you can follow the suggestions listed above. Find out if any of your medications are listed in the Beers Criteria. Ask about alternatives. Review medications regularly. Get medications deprescribed when possible. With just a little bit of effort, I know that you will vastly improve the odds that whatever medications you — or your older relative — are taking are truly serving your health, and not exposing you to unnecessary risk. And, don’t forget to listen to my interview with Dr. Michael Steinman. He really is one of the nation’s top experts on this topic, so there’s a lot to learn from him! Thanks for this article (and update/alert). My public library is getting this article for me at no cost (to me), through the interlibrary and intercity loan program. Free! God bless public libraries and librarians. Why can’t you just post the full list of medications ? The full list is protected by copyright. Who holds the copyright? This list should be public information. I believe the copyright is held by the American Geriatrics Society. It’s not clear to me why they did not release the list to the public, given they had released the actual medication lists for previous updates on HealthinAging.org. It’s possible that they will eventually release it to the public. If the list is available only with payment, then this author cannot copy the whole list and then give it away. What about statin drugs? Can they cause issues for the aged? I was told to get off of Lipitor. It could cause dementia related issues in the future, I am 65. My cholesterol is over 300, But my HDL is 104 and I am a pattern A. I took myself off of the Lipitor a year age. Aches in my muscles went away. I take supplements. Statins are not listed anywhere in the 2019 update of the Beers Criteria. I am sure the expert panel is aware of the question of whether statins cause or aggravate memory loss, and imagine they did review the evidence related to this. I’m 69 and suffered severe reaction to nitrofurantoin prescribed for mild urinary tract infection. Felt like aftermath of being being badly beaten esp chest, leg and back pain. Weakness and discomfort makes walking a chore. It’s a waiting game to see if the damage resolves itself. Was previously is good health. Otherwise, side-effects are not uncommon with antibiotics, and some people do experience serious reactions to them. Hope you feel better soon. I am 65 and take Indomethacin (an old anti-inflammatory arthritis medicine) plus 350 mg Tylenol when I get a migraine trigger and almost always it works. I also take an anticonvulsant (am and double pm Keppra) to control migraine. Since the weather in the Pacific NW is so changeable I am extremely grateful to the neurologist who got me on these drugs. I also take a low dose of Effexor for chronic pain that she prescribed (75mg plus 37.5 daily, two pills). I just can’t have a migraine every day. Is anything I’m doing particularly bad for me? My 85 y.o. mother took about 12 aspirins a day for years for rheumatoid arthritis and now I think she takes Naproxen instead. She has never had her high anxiety or apparent depression treated and now she’s got some cognitive decline in addition to her difficult personality and other problems. She has also been hospitalized for AFib after having had “the paddles.” She pretty much does not drink alcohol now but enjoyed two glasses of wine daily for decades and that made her pretty loose. Just curious if you feel comfortable commenting on any of this from a Beers older persons’ meds point of view. Thank you. You are an amazing fire hose of information! Indomethacin (an NSAID) is listed in the latest Beers Criteria update as a drug to avoid & they note that it’s more likely than other NSAIDs to cause adverse effects. Antiepileptics (a group that includes Keppra) are listed as drugs to avoid in people with a history of falls. At age 65, we would consider you a “young” older person, so unless you are suffering from particularly poor health or frailty, you probably aren’t yet very vulnerable to the side-effects and risks of these medications. And, as you get older, these drugs WILL become riskier for you. Whether they’ll become so risky that the likelihood of harm exceeds the likelihood of benefit, that’s hard to say. But in general, it’s safer to transition off risky meds if possible, and often it’s easier to do so earlier in life, before a person becomes burdened by more health problems or even cognitive difficulties. It’s also generally better to treat chronic problems through a comprehensive holistic approach, when possible. I think these approaches are sensible, but it does take time and work and that is hard for busy people to find. It also requires a clinician to guide you through this, but I know people often have trouble finding someone suitable, plus those clinicians may not take insurance. Rheumatoid arthritis is a pretty significant inflammatory condition. I do think an intensive lifestyle program can sometimes reduce inflammation, however it can be really hard to get people with cognitive decline to make the necessary changes. So it’s possible that NSAIDs, despite the risks, might be a reasonable option for your mom, especially if they are monitoring her carefully for the associated side-effects. In short, the idea is to only use these medications after thoughtful consideration, when the likely benefits outweigh the hards, and when safer alternatives are not available or really aren’t feasible. Glad you found the tips helpful, thanks for letting me know! So, in a nutshell, what are the 10 meds that aging adults should not take? Will this new updated list publication be available for libraries? I may ask my library to obtain it for the seniors in town. We also have a senior center for services, and perhaps they can obtain it. Another reader in the comments reports she is able to get it from her library. Hopefully yours will provide it as well. If not, your health provider or pharmacist may be able to help you access a copy.